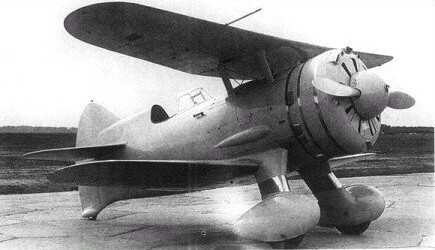 In 1935, two designers from GAZ-21 (Gosoodarstvenny Aviatsiya Zavod – state aviation plant/factory), at Gor'ky began work on a new high-speed biplane fighter design. Borovkov and Florov drew heavily on their experience working in the Polikarpov I-16 program, producing 'Prototype No.7211' (Izdeliye 7, Zavod 21, Samolyet 1 – article 7, factory 21, aircraft 1). 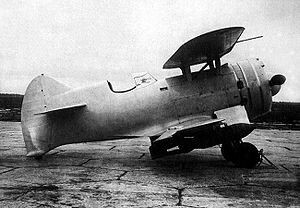 In 1937, Aleksei A Borovkov and Ilya F Florov established an experimental design bureau as OKB-7 with the object of creating the smallest possible practical single-seat fighter. The first prototype was completed before the end of 1937, and first flew on 1 June 1937 but crashed on take-off due to engine failure. The No.7211 was a staggered cantilever biplane with duralumin skinned light alloy wings. The fuselage was of mixed construction (the forward portion being a duralumin skinned welded steel-tube structure and the aft portion, which included the cockpit, being a wooden monocoque with plywood skinning) and wooden tail surfaces. Power was an 850hp Mikulin M-85 14-cylinder radial. A pre-production series of four I-207s was ordered in 1938, one being powered by the 1,100hp M-63 nine-cylinder radial, two having the 1,000hp M-62 nine-cylinder radial and the fourth having a geared M-63R engine and a side-hingeing cockpit canopy, all having retractable main undercarriages. The first production prototype was powered by the 900 hp (670 kW) Shvetsov M-62 radial, (license-built Wright Cyclone). Retaining the open cockpit, it featured a smooth close fitting cowl, fixed landing gear, and was fully armed with four ShKAS 7.62-mm machine guns in the forward fuselage. It was first flown in April 1939 and led to improvements on the second production prototype. The second aircraft still featured the fixed gear, but had the improved Shvetsov M-63 radial of 1,000 hp (750 kW) and the lower wings were strengthened to accept either two FAB-250 bombs or Merkulov DM-4 ramjets for a rapid climb on takeoff, with a first flight in late April or early May 1939 proving its high performance - maximum airspeed 416 km/h (258.5 mph) at 5000 m (16,404 ft) and 18 m/s (3,543 ft/min) rate of climb after take-off. One aircraft featured a retractable landing gear that rotated to lie flat in a small landing gear bay under the fuselage. This improved the top speed over the fixed gear version by 20 mph (32.5 km/h). Two I-207/M62 aircraft reputedly saw combat in Finland during the Winter War during 1939-40, but there is little evidence for this. The fourth production prototype featured a fully enclosed cockpit, a geared M-63 engine and a large smooth spinner that gave the little airplane a dart-like look. Though performance was quite impressive for a biplane fighter, the type was not accepted for manufacture, and all testing came to a halt with the German invasion of 1941. The I-207/M-63 attained a speed of 298 mph (480 km/h) at 14,765 ft (4 500 m) during State Trials in the summer of 1939, but the appearance of more advanced fighters resulted in the 1-207 being discarded. Only eight (possibly 5) examples were built. The initial prototype aircraft, with an M-85 engine assembled from parts imported from France, crashed on first take-off due to engine failure. Four prototype and pre-production aircraft with M-62 engines. Armament: four 7,62-mm ShKAS machine guns. Three aircraft with M-63 engines plus provision for two FAB-250 bombs or two Merkulin DM-4 ramjet boosters under the lower wings. One aircraft later fitted with retractable main undercarriage retracting rearwards and rotating 90° to lie flat in the lower wings.